I can't get my eyes off those gorgeous boots! 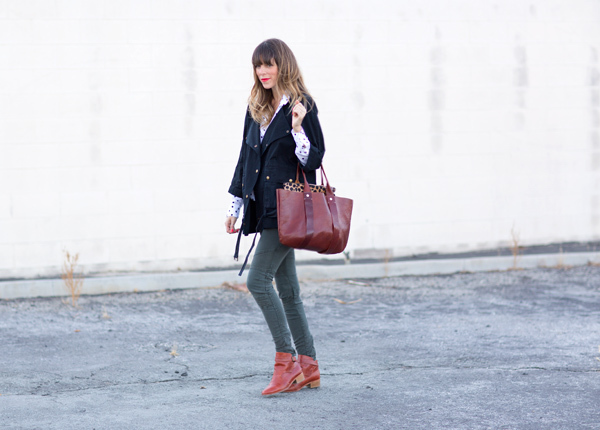 Love the colors you've mixed together! 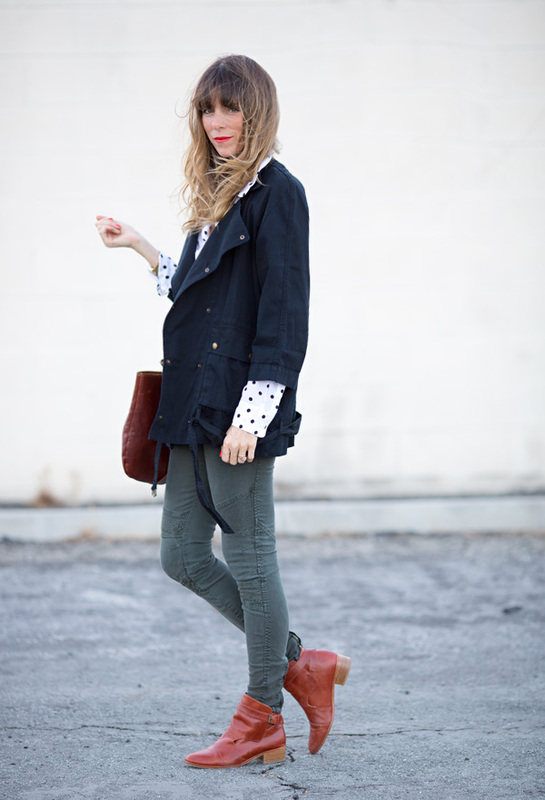 love the polka dots peeking out the sleeves! 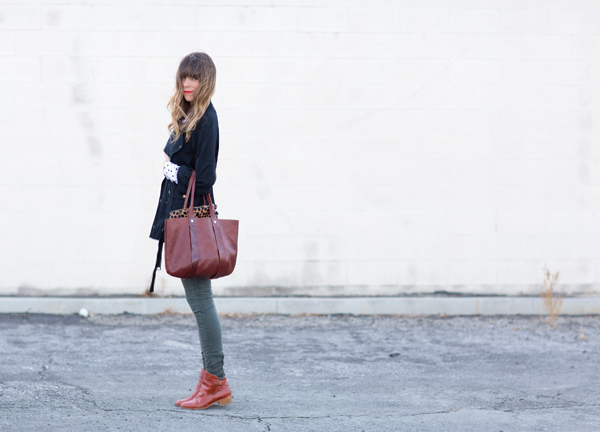 I adore every aspect of this outfit, in particular those boots!! 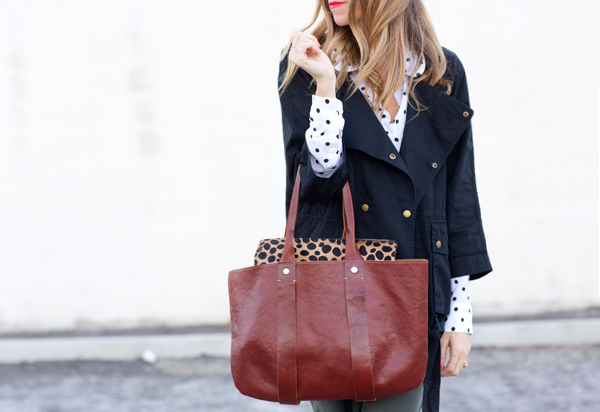 Love this look: the polka dot shirt, shoes and bag! And don't get me started on the style of that beautiful jacket.